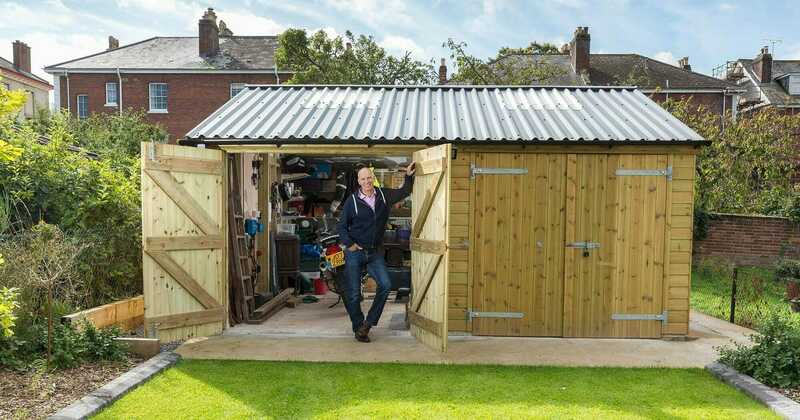 Being a keen motorbiker Steve was looking for a new secure garage for his pride and joy and give him somewhere to store not only his bike clothing and gardening tools but a place to retreat to for a quick workout. Having been to see the display site at Shields Buildings Steve knew that he would get the quality and attention to detail for his timber frame garage that he was looking for. There were a few delays with planning issues that needed to be overcome, but small tweaks and a couple of changes were made to the design which resolved this. There were also a few changes that Steve wanted to make along the way, but this was no problem for the team at Shields Buildings. 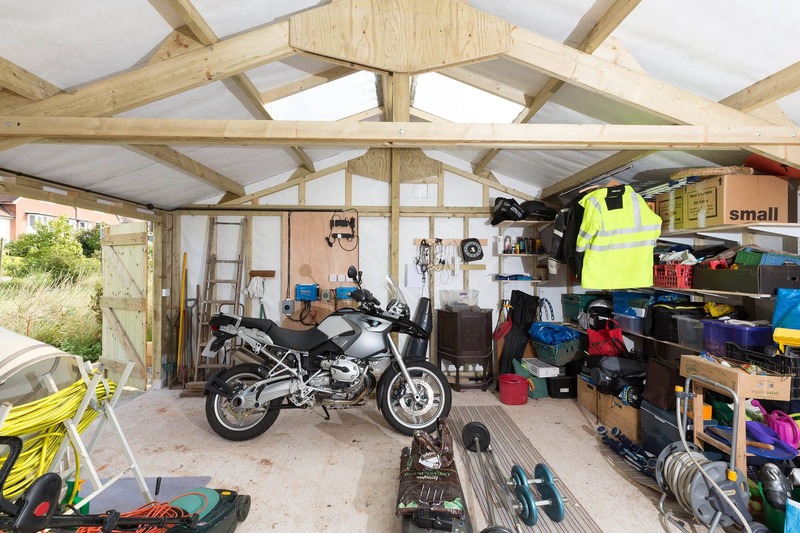 Steve now has a garage that he’s delighted with as it gives him such a practical solution to his needs – he has somewhere safe and dry to store his motorbike, so he can just jump on it and go for a spin whenever the mood takes him, and the weather allows! "I love the idea of someone who does a full survey, draws up the plans, takes it from start to finish and makes it all simple for me – perfect." 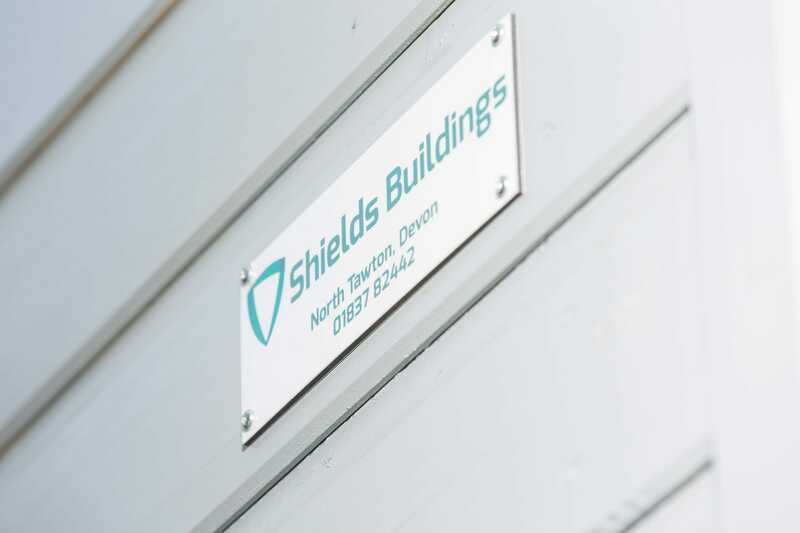 Whatever your buildings use it's important that it's safe and secure. 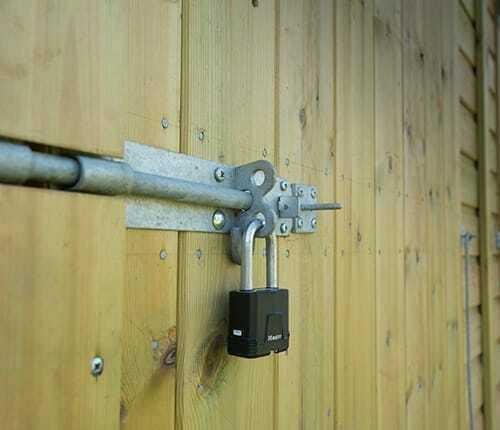 As standard we supply a range of security items including; heavy duty door bolts, lever handle locks and deadbolts. Whether you have a garage, workshop or studio you can be rest assured your contents are protected. 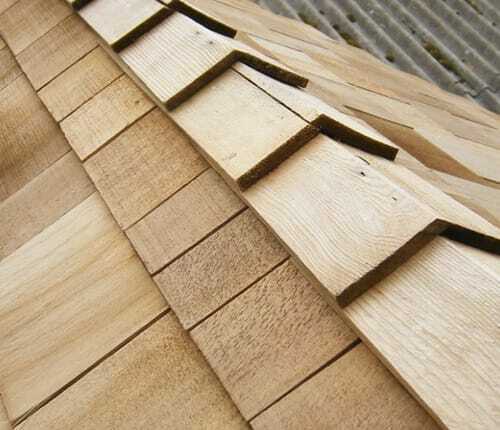 Choosing the right roof for your timber building is essential for the look and feel of your building. There are options, but don't worry we'll help guide you through them; the main roof styles are apex or pent and the materials are plastisol steel sheeting, cedar shingles and slate. It's important that your building is beautiful inside and out, which is why we can colour match the exterior Superdec paint to a colour of your choosing for that perfect finish. Alternatively, you can have the building stained in a colour to blend in with your house or other buildings.